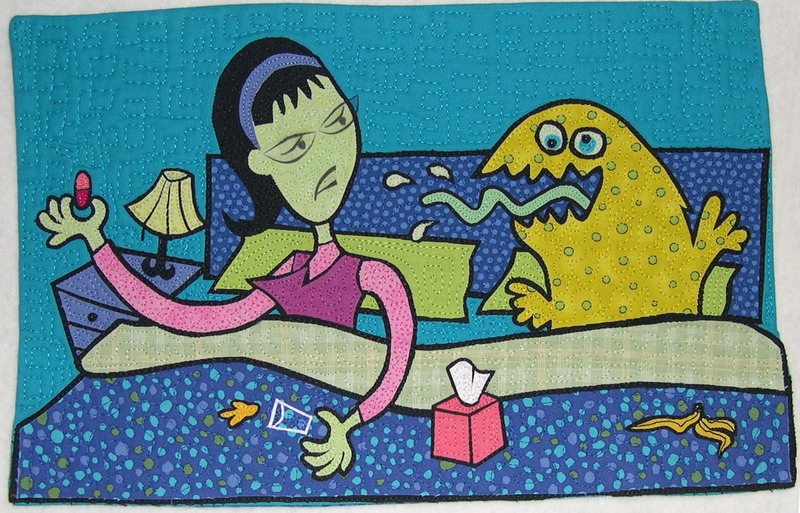 In Bed with a Bad Cold | OccasionalPiece--Quilt! Posted on November 3, 2007 by Elizabeth E.
It’s late and I can’t sleep. So I’m browsing the web, killing time while waiting for the cold meds to kick in and I finally found the respresentation of how I feel.